Actress Rajani KC has gone to Pokhara for the shooting of her upcoming movie ‘Bracelet’. The movie ‘Bracelet’ is the comeback movie of actor Ramesh Upreti and being directed by comedy artists, Nirmal Sharma. After unreleased movie by Poojana Pradhan, ‘Chocolete’, ‘Bracelet’ is the second directorial project of Nirmal Sharma. 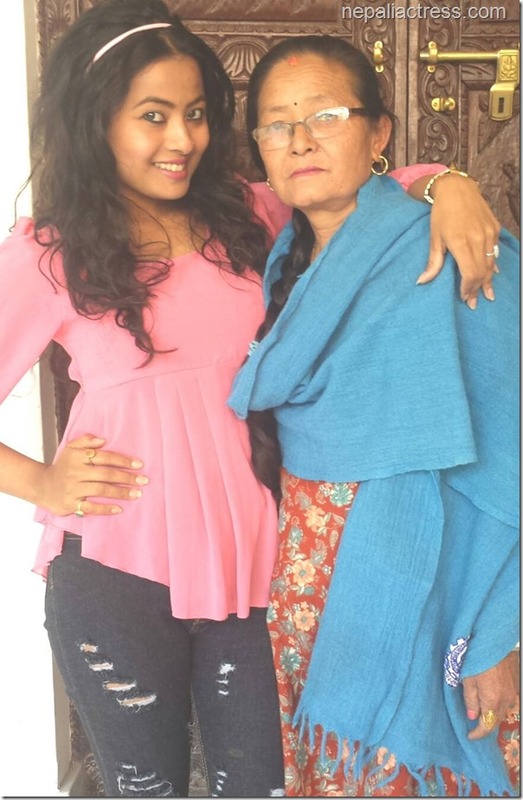 With Rajani KC the movie also features actress and model Namrata Sapkota in the movie. The movie is made on the script written by Jaya Ojha. The suspense thriller movie is being shot in Pokhara. 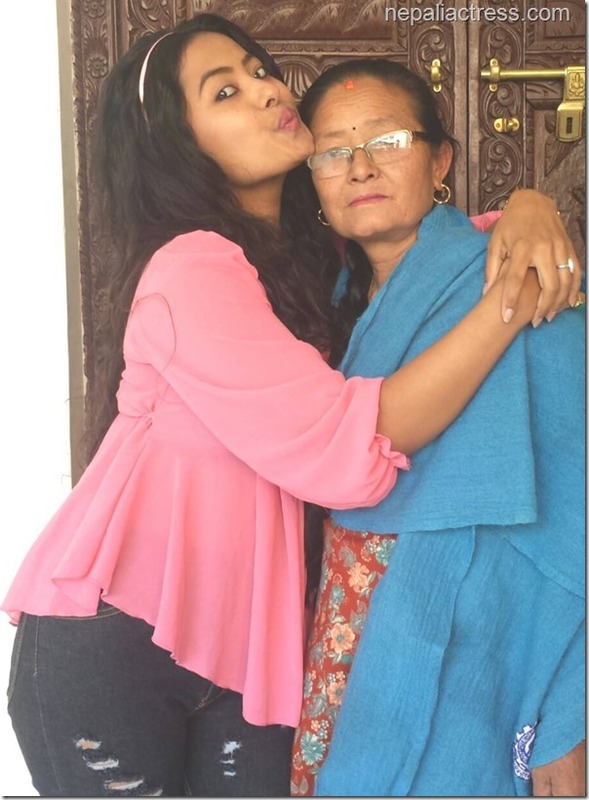 Rajahi has shared these photos of herself with her mother before heading to Pokhara for the shooting. Rajani debuted in Chhabi Raj Ojha film ‘Loafer’ (watch ‘Loafer’ in xnepali) and she had also acted in another unreleased movie titled ‘Pardesh’. This entry was posted in Photo Gallery and tagged Bracelet, Rajani KC. Bookmark the permalink.